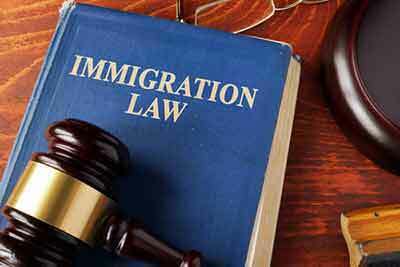 Immigration is one of the most complex legal issues that there is. With laws constantly shifting at the state and federal levels, and thousands of people dealing with these legal changes, laws and law firms that specialize in this field can have trouble staying ahead of their work load, which is why many consider hiring immigration paralegals. An immigration paralegal will work directly with attorneys to assist immigrants navigating the complex process of citizenship. They will perform many legal tasks related to immigration, including learning about new laws and rules as they are developed. If you’re interested in entering this highly in-demand legal field, you need to learn some of the basic duties and requirements of an immigration paralegal. The reason immigration law is so complex is that there are many different areas you must be familiar with. Immigrants come to the country in many different ways, and almost all of them need some help navigating the immigration system. In addition to understanding the multiple paths to immigration and citizenship, immigrant paralegals will need to gather information needed to prove client eligibility, write legal documents and can even be a part of strategy sessions, which isn’t typical for other forms of paralegals. More than almost any other form of paralegals, immigration paralegals must possess several important skills. For instance, you must have the ability to read and understand specialized government documents that outline immigration laws. In addition, speaking multiple languages can be an important skill for immigration paralegals, as you will be working with clients who may not speak English or do not speak it as their primary language. To increase your likelihood of being hired by a law firm that deals with immigration, you should also engage in a paralegal education. Instead of a paralegal certificate, you should complete an associate’s or bachelor’s degree in paralegal studies. Make sure that your degree is obtained from an American Bar Association (ABA) accredited college or university and that you complete courses with a focus on immigration law. Those seeking career as immigration paralegals should also think about acquiring work experience in an internship before seeking employment. If you’re like most prospective paralegals, you’re probably interested in learning about your earning potential, which makes it a good idea to examine the career information provided by the Bureau of Labor Statistics (BLS). The BLS report which was released in 2015 reports that the average earnings for a paralegal that year were $48,810. However, this number can change based on the law firm you work for, the state where you work and your paralegal field. There will also be many employment opportunities for paralegals across the country in the near future. According to the same BLS report of 2015, positions for paralegals will grow by 8% between 2014 and 2024. When you become an immigration paralegal, you’ll be responsible for helping immigrants follow complex rules so that they can become a part of American society. Working as an immigration paralegal requires dedication to your work and specialized knowledge about regulations that are almost constantly in flux.